Synnøve Bendixsen is a Postdoctoral Fellow at the Department of Social Anthropology, University of Bergen (Norway). Her research interests include irregular migration, political mobilisation, Islam and Muslims in Europe, the study of inclusion and exclusion, and processes of marginalization. She has written a number of articles, book chapters, and edited volumes and one monograph: The Religious Identity of Young Muslim Women in Berlin (Brill 2013). Bendixsen has been a visiting scholar at COMPAS (Oxford), and New York University. 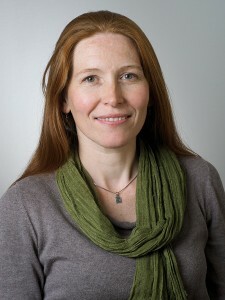 Since 2013 she is the co-editor of the Nordic Journal of Migration Research and from 2016 she is the series editor of Palgrave’s Approaches to Social Inequality and Difference. Bendixsen, Synnøve and Eriksen, Thomas Hylland. forthcoming. Timeless time among irregular migrants: The slowness of waiting in an accelerated world, in Ethnographies of Waiting: Doubt, Hope & Uncertainty, Manpreet K Janeja & Andrea Bandak (eds. ), Bloomsbury: London, NY. Khosravi, Shahram 2010. An Ethnography of Migrant ‘Illegality’ in Sweden: Included yet Excepted? Journal of International Political Theory, 6(1): 95-116.